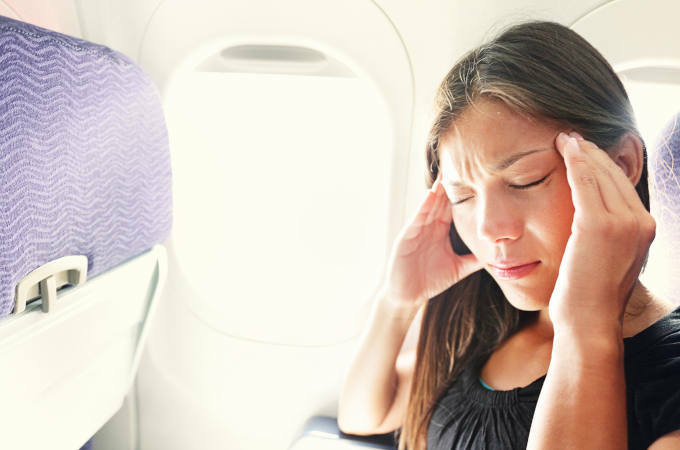 Do you suffer from flight anxiety? Or are you generally nervous when travelling? Fear of travelling can be a type of phobia, which may stop you exploring new places or having fun with friends and family on holiday. Catchily termed by psychologists as pteromerhanophobia, aviophobia or aerophobia, fear of flying is thought to affect 10% of the population though some studies suggest that the figures may be much higher. If your fears trigger excessive levels of panic or anxiety, it might be worth seeking counselling to help you overcome your phobia. Here at KlearMinds, we offer effective phobia treatment counselling, using CBT and integrative psychology to help people overcome their phobia. Why not give our team a call on 0333 772 0256 or contact us here to find out more? In the meantime, we’ve put together some useful tips that you might like to try out – perhaps on a small journey first – to see which techniques work best for you. If you’re worried about flying on your own, try to arrange for someone to come with you. Having a travel companion, especially if they’re a seasoned traveller, can make a huge difference to give you that sense of security and calm, whether you’re navigating the terminal building and pass through airport security all the way until you board the plane. Make sure you talk to your companion about your fears, so they can be prepared to help you, provide emotional support, encouragement or distraction as necessary. Relaxation techniques can be very effective for calming nerves and the mind. Rather than focusing on what the plane, pilot or air hostess are doing, close your eyes and take long, deep breaths in through your nose and out through your mouth. Focus your attention on something calm, perhaps by visualising a favourite place, person or event. Starting with the tip of your toes and working your way up, tense and relax each part of your body for about 10 seconds. Some people find that listening to soothing music is helpful. There are even apps to help you conquer your fear of flying! While junk food can worsen your anxieties, healthy foods that are low in sugar can have the opposite effect. Complete meals and complex carbs will not only fill you up for longer, they’ll give you the energy to keep going all day. Stock up with high quality snacks like protein bars, granola, nuts and fresh fruit so you’re not tempted by the airport snack bars. For drinks, stay away from alcohol since this can potentially worsen your travel anxiety. Water is the best option on a flight. Offering plenty of hydration, there’s no alcohol, no sugar and no caffeine to cause energy highs/lows. Sitting around and doing nothing while you wait for your flight is likely to increase your nervous energy and raise anxiety levels when it’s time to go. If possible, make time to slot in some exercise before travelling. From walking around the block to hitting the gym for a full workout, exercise will relax your muscles and mind so you’re distracted from the pre-flight jitters. If you’re waiting for a flight connection, why not take the opportunity to stretch your legs? Your body will love the activity and your relaxation techniques will work even better when you really need them. Remember that travelling is merely a means to an end. It’s the method by which you get from A to B. While you may not be looking forward to the journey, try to use the powers of positive thinking to help you keep your mind firmly focused on the good bit: getting to the destination and seeing friends and family, or having a nice time on holiday. Ask yourself what activity you want to do most when you get there and who are you looking forward to seeing the most. Most importantly, are you going to get one lousy flight get in the way of having a great time? Like it or not, stress seems to be part of our daily lives. 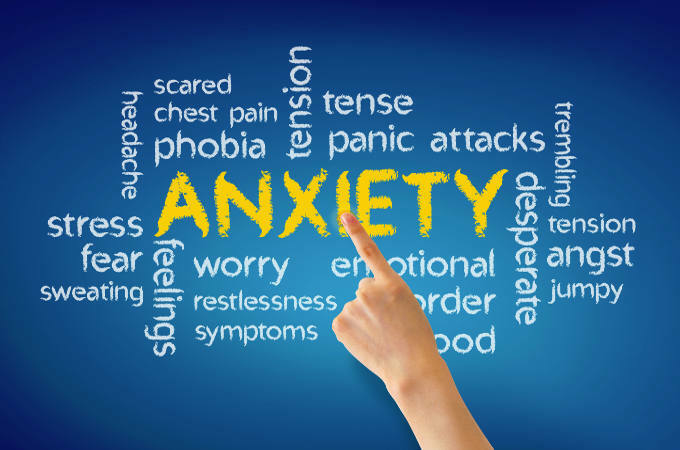 Whether it’s worrying about money, job, family or relationships, too much anxiety can have a detrimental effect on your health and wellbeing. But when your body and mind is running on adrenaline, it makes it difficult to slow down at the end of the day – and harder to get started in the morning. To help them cope with their daily lives, many people self-medicate, consuming coffee or energy drinks as a repeated energy booster during the day, while using alcohol to relax in the evening. While this can bring short term relief, it doesn’t address the underlying problems and long-term use of artificial stimulants and relaxants can takes its toll on your health. Rather than relying on caffeinated drinks to keep your energy levels from crashing during the day, how about trying healthier alternatives that help you rebalance the body and soothe the mind? In addition to paying attention to your diet and eating mindfully, here are 3 hot, calming beverages that might just do the trick. If you’re feeling frazzled and anxious, try a glass of warm milk. It’s not a new idea but it works. In scientific terms, milk packs tryptophan, the precursor to serotonin aka the ‘feelgood’ chemical in the body. Higher levels of serotonin in the blood will calm you down and improve your mood, while calcium and magnesium help lower blood pressure. If you’re not keen on the taste of heated up milk, add some good old Ovaltine – it’s high magnesium content is perfect to help you relax and get a good night’s sleep. Or try a Vegan variation called Golden Milk, made with coconut or almond milk, turmeric, pepper, coconut oil, cinnamon and honey. Research shows that Valerian helps to boost the amount of GABA (gamma aminobutyric acid) in the brain, whose job it is to regulate nerve cells and calm anxiety. 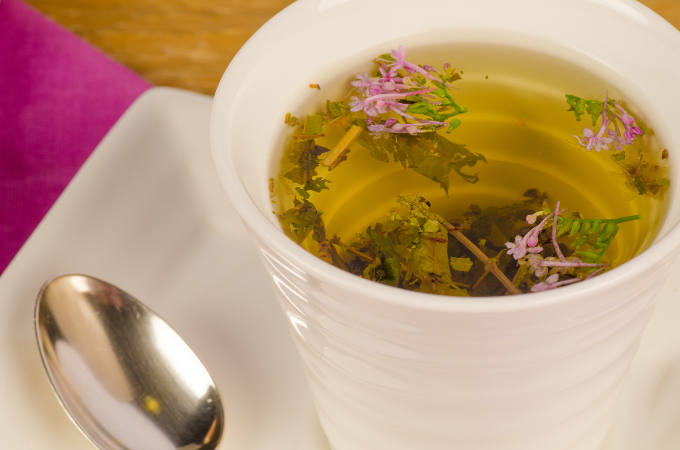 Valerian root tea has a strong sedative effect and it can also act as a pain killer. It’s best to have a cup just before bedtime – not everyone feels sleepy after drinking Valerian Root Tea but if you’re affected, don’t drink and drive or operate machinery! Beware that Valerian has an interesting aroma that not everyone likes, which is why you’ll often find it in bedtime tea mixes together with other soothing herbs such as Chamomile, Lavender, Fennel, Lime Flower, Passion Flower or Liquorice. 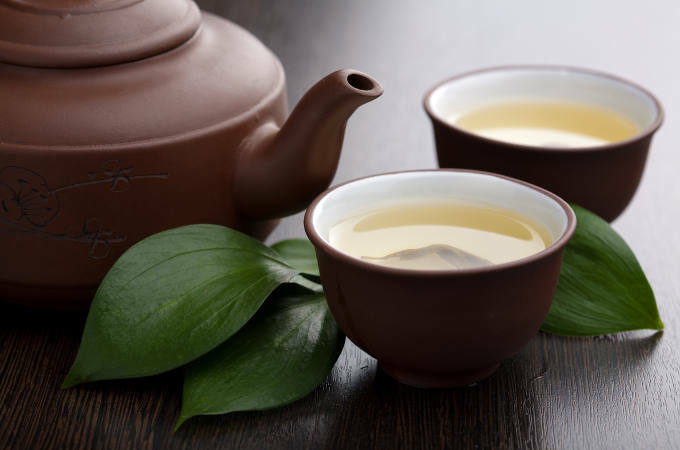 Green tea is one of the oldest teas in the world. Made from the unfermented leaves of the Camellia sinensis plant, it’s arguably one of the healthiest beverages you can consume. Its health giving benefits come from phytochemicals, natural chemical compounds found in plants, including flavanols that give green tea its rich antioxidant content. 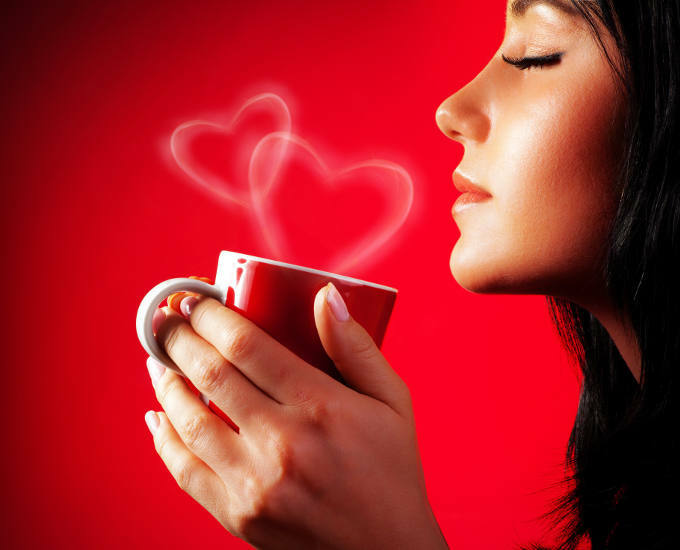 Decaf green tea contains theanine, which will reduce stress and improve sleep. Make sure you don’t choose regular green tea, since the caffeine it contains may well keep you from sleeping. Now the summer holidays are over and we’re all back at our desks, now might be a good time to address an issue that affects many people, both at work and at home: time management. If you’re feeling snowed under with work or overwhelmed with responsibilities and are struggling to cope on a regular basis, productivity can take a nosedive. The result? Nothing gets done, you feel guilty, you start doubting your own abilities and the cycle can easily spiral downwards. 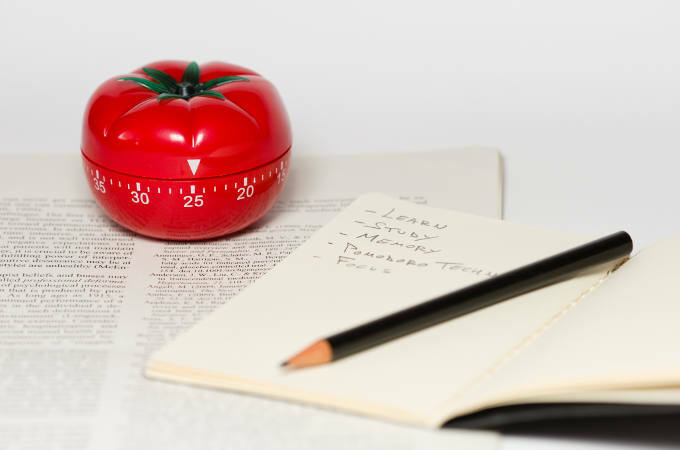 The Pomodoro Technique is one of many time management tools that can be really useful to help you break down your tasks into small ‘bite sized’ chunks. Whether your in-tray always seems to be overflowing, you’re suffering from work stress or are a self-confessed procrastinator, give this technique a try and see if you can use it to improve your productivity. This time management method was developed in the late 1980s by Italian entrepreneur and software developer Francesco Cirillo. The aim is to work with the time you have rather than against it. Using a ‘Pomodoro Timer’, break your workday into 25-minute chunks – each interval unit is 1 pomodoro – punctuated by 5-minute breaks. After 4 pomodoros, take a longer break of 15-20 minutes. The timer can be a smartphone app, an alarm clock or any accurate timer device. Cirillo originally used a kitchen timer in the shape of a tomato, hence the name – pomodoro is the Italian word for tomato. There are plenty of Pomodoro Timer Apps available. The idea behind the technique is to instill a sense of urgency into your workday, setting yourself goals and targets to be met within the natural rhythm of the human attention span which is about 20-25 minutes. Rather than feeling that you have endless time to get things done during the day, but then squandering precious hours working ineffectively or being distracted, working within a pomodoro focuses the mind to help you make progress on the task in hand. No more scrolling through Facebook or a quick look on Amazon, reading clickbait or replying to non-urgent emails. Instead, your mind will be fully zoned in on whatever project you’re working on, knowing you only have to concentrate for 25 minutes before you can have a break. What’s more, the pre-planned rest times really help to eliminate that frazzled, burnt out feeling many people experience at the end of the working day. Using the Pomodoro technique stops you from spending hours in front of the computer without moving, since the timer reminds you to get up and take regular breaks from the desk. At KlearMinds, we have a team of highly qualified and experienced counsellors, psychotherapists and life coaches ready to help you with any concerns that may be troubling you including stress management, career advice and self-confidence issues. If you feel that it would help to talk to someone who may be able to help, please don’t hesitate to get in touch. Are you afraid of the big wide world? Are you apprehensive about going outside? Does your home seem the only place where you feel comfortable and truly safe? Isolating yourself from the outside world can become an unhealthy habit, which can cause feelings of loneliness, hopelessness and intense anxiety, putting your social life, career and mental health in danger. Agoraphobia is the technical term for an irrational fear of going outside. Sufferers often have a hard time feeling safe in public places where there are other people, which can bring on anxiety attacks. It can be a tricky situation but all is not lost – there are strategies you can employ to conquer your fears. 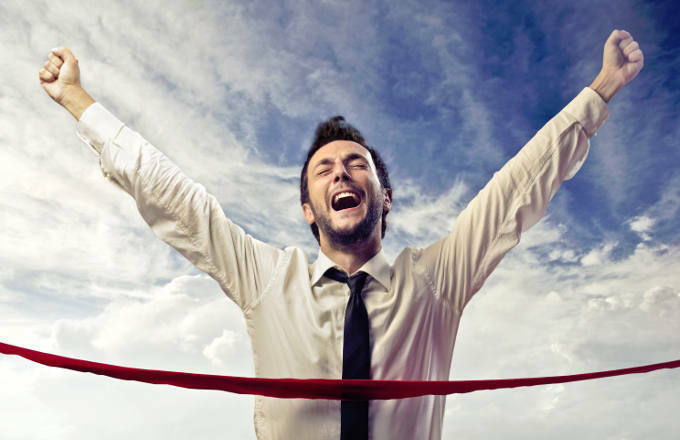 Professional help may help you achieve your aims more quickly. At KlearMinds, our counsellors and psychotherapists are trained in a wide range of therapies, meaning we can tailor our approach to best suit your personality to help you achieve lasting change. We can even meet you via Skype or FaceTime, if that’s easier for you than coming to see us in person. Meanwhile, here are 5 tips to help you gradually get more comfortable outside the safety of your home. If you really dread having to go outside and do things, ask a trusted friend, partner or relative to help you integrate slowly with the outside world. Place your trust in the process and build positive feelings every time you go outside to override the feeling of fear. Try to rid your fears one social situation at a time to lessen the tension you associate with outside stimuli, and replace negative thoughts with positive experiences. Eventually, with practice, your anxiety levels will subside. Try listening to some of your favourite music every time you leave the house. Put your headphones on and choose some songs that inspire and uplift, so that you associate your outing with a positive experience. You can use your music as a kind of safety blanket to cocoon you from the outside world, lessening the tension you may otherwise feel. Next time you have to wait for the bus or at the dentist’s, bring a book to occupy yourself and shield yourself from the outside stimuli of having people around you. It’s a clever strategy that you can use anywhere. What’s more, if you bring a book that you’re in the middle of reading, you’ll be too engrossed in the story to be worried about what’s happening around you. Many people pull out their smartphones when they’re bored – you can do the same when you’re feeling scared or anxious. Put a couple of favourite games on your phone that you can turn to in an effort to put your mind at ease. Even if you want to interact with other people, you can do it in little steps, using the phone as a ‘crutch’ whenever necessary. Phone games can also be a godsend when you’re having to go on long trips. If the great unknown of what you might find outside worries you, take away the fear by doing as much planning and research as you can beforehand. Check out maps and street views and other online ‘reconnaissance’ to help you visualise what it will be like. Plan the route so you know exactly how to get there and back. Knowing your surroundings (and how to get back to safety in case of sudden anxiety) will go a long way to making you feel less insecure. 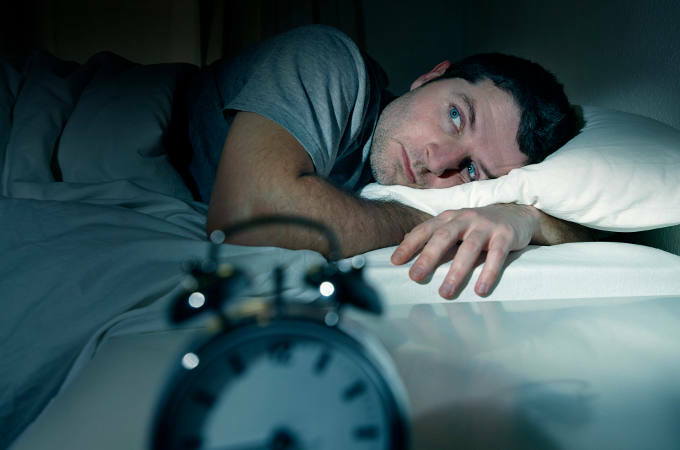 If you regularly have trouble falling asleep, keep waking up in the night or suffer from insomnia, there may be a hundred reasons why this is happening. Perhaps an underlying medical condition, such as chronic pain, an overactive thyroid or kidney infection is causing you to sleep badly. Sleep deprivation can also be a symptom of stress, anxiety, depression and a host of other issues. Whatever the cause, if it’s interfering with your quality of life or stopping you from performing your daily tasks, something must be done. Obviously, your first port of call should be your GP who can investigate (and hopefully eliminate) any physical health problems that might contribute to your poor sleeping. If you think the cause may be related to your mental health, counselling or psychotherapy may help. Here at KlearMinds, we have a highly skilled team who have worked with many different people, and therapies that are designed to help you achieve positive, lasting change. Meanwhile, back at home, there are some practical steps you can take to create the best possible sleep environment for yourself. It all starts with having the right mattress. If your body is not optimally supported, you won’t sleep well. Too soft, too hard – everyone has their own preferences, but do get professional advice on the type of mattress that’s best for your body shape and weight. Do you sleep on your front, back or side? Suffer from chronic pain? Try out different mattresses in the showroom and look out for manufacturers offering trial periods (typically around 100 days) with a money-back option if the mattress doesn’t pass the home test. Your bedroom should be a place for rest. By all means watch a film, answer emails or catch up with social media in the evening, but keep it out of the bedroom. In fact, it’s a good idea to ban all gadgets and gizmos – TVs, laptops, tablets, smartphones etc – from the bedroom altogether. Not only do they have the effect of stimulating the brain when you want it to switch into sleep mode, any lights and noises emanating from the devices can disrupt your precious sleep. Make it a priority to view your bedroom as your personal sanctuary. If necessary, use the next weekend to declutter and decorate to create a calming, restful vibe. A nightly wind-down routine is a great way to prepare your body and mind for bedtime. There are many tried and tested techniques you can try including a warm bath, a hot cocoa or herbal tea (no caffeine or alcohol! ), relaxing essential oils (lavender pillow, roll-on aromatherapy blends, yoga or breathing exercises, ½ hour’s journal writing or reading in bed. A cool bedroom (6-18°C) will aid your sleep, while a hot room (24°C+) will make you toss and turn. Make sure you have a choice of winter and summer bedding at your disposal and use it wisely. During the warmer month, airing the room before in the evening will maximise cool air circulation (but do close the window if there’s a draught). In the winter, have a hot water bottle or fluffy bedsocks ready for extra snugliness that will help you drift off. Our body’s circadian rhythm responds to light and darkness – we are biologically programmed to sleep when it’s dark and wake up when it’s light. Work with your body by keeping your sleep environment as dark as you can, eg by fitting blackout blinds, having a ‘no light at night’ house rule, wearing an eye mask and keeping phones and computers out of the bedroom – the blue light emanating from LED screens actually suppresses the release of melatonin, which our bodies need to relax and fall asleep. Finally, make sure your sleep is not disturbed by noise, either from outside (traffic, dogs barking etc) or inside (night owl teenage kids, snoring partner, household appliances etc). Sometimes, earplugs are the only way to get some peace and quiet! That said, while loud, sudden noises will wake you up, soothing continuous sounds can be helpful to fall asleep to. Why not try one of the many ‘white noise’ apps available, or one that plays soothing nature sounds? 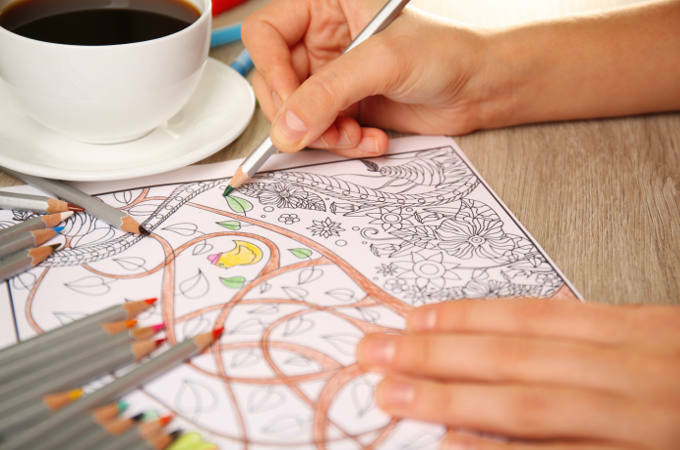 Colouring books for adults – what are the benefits? Adult colouring books have been around for a few years now – have you tried them yet? It might be silly to think that something as simple as a colouring book could be beneficial to our health, but research does support this idea. In fact, the benefits for the adult brain from the simple act of colouring has been known for over 100 years, with many psychiatrists throughout history recommending the practice to their patients. Colouring is said to have stress reducing benefits. It calms the part of the brain related to the stress/fear response and stimulates the part of the brain that is responsibility for logic and creativity. In 2005, a study documented reduced anxiety in participants after only a short time of colouring in geometric patterns. Colouring for at least 5 minutes before bedtime is said to help you sleep better, while colouring therapy is used experimentally to treat anxiety and stress related disorders. 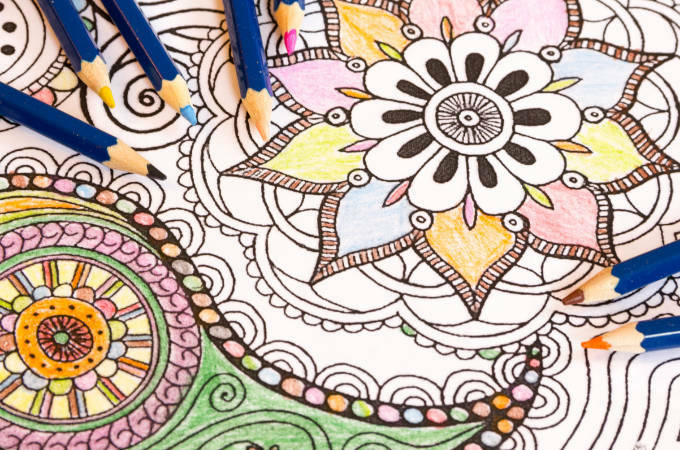 Adult colouring books are becoming increasingly popular among creative professionals and executives in high stress jobs. The reason is that there’s evidence to suggest that even short colouring sessions can boost focus and concentration, spurring creativity. Some companies are so convinced of the benefits that they make time for group colouring sessions to improve the focus and creativity of employees working on a major project. The psychological benefits of meditation and prayer are well known, but many people struggle to ‘switch off’ and calm the mind. Colouring is a hands-on activity that can be used to overcome this issue. It allows you to be active – to ‘do’ something – but without needing your full concentration. Studies have shown that colouring and similar activities have a meditative effect on the brain. Recently, colouring time has started to become a social activity, with many clubs and local community groups putting on ‘colouring’ meetings. Take your colouring book along and meet others who also enjoy colouring. Spend time focusing on this relaxing activity while having a natter and making new friends. As a social exercise, it’s a fun activity that you can even share with your kids! While colouring therapy is used experimentally to treat sufferers of Post Traumatic Stress Disorder (PTSD), anxiety and stress related conditions, it isn’t recommended that you use it in place of regular therapy with a qualified psychotherapist or counsellor. That said, as a complementary activity that is both relaxing and enjoyable, there’s certainly no harm in putting an adult colouring book on your Christmas list. ‘Tomorrow is a mystical land where 99% of all human productivity, motivation and achievement is stored’, it says on the internet. Put another way, if your mother ever told you to never put off until tomorrow what you can do today, she was right. Many of us suffer from procrastination – a myriad of avoidance techniques we have mastered to not do what we know in our hearts of hearts should be done. If you’re feeling frustrated with yourself about the lack of progress that comes from dithering over a work assignment to forever postponing DIY jobs at home, or you’re stressing about continually dodging the bigger decisions that you know full well need to be taken – you might need help. We’ve come up with 7 life coaching tips to help you get over your procrastination habit, take charge of the tasks in hand and get on with your life. Not only will you find yourself becoming more productive, you will love the new found focus and energy that propels you towards your goals. 1 – Overthinking creates problems that were never there. There is a fine line between good planning and overthinking every aspect. Planning is a necessity, of course, but you can never plan for every eventuality or avoid every mistake. Spending too long on creating the perfect plan is counterproductive. It’s time to stop thinking and start doing. 2 – Don’t make a mountain out of a molehill. The longer you dwell on a particular thing, the bigger it becomes in your head. If the issue in question is a difficult one, the problem will grow and grow until it becomes a monster so large you’re even more afraid to tackle it. No matter how you feel, tell your negative inner voices to be quiet and force yourself to just make a start. 3 – You don’t have to see the whole staircase, just take the first step. The distance between where you are now and where you want to be (the top of the stairs!) may look overwhelming – but only if that’s where you look. Rather than focusing on the end result, break it down into smaller chunks and take it one day at a time. 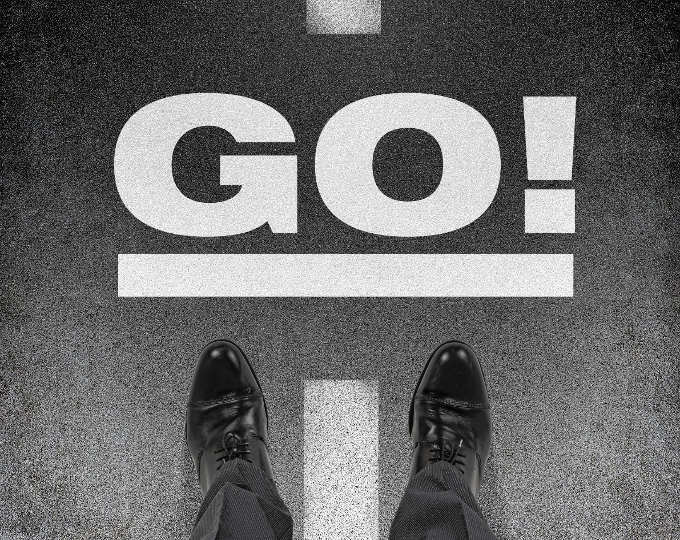 Taking the first step will make you feel good and lead to you wanting to take the next step and the one after that. Q: How do you eat an elephant? A: One bite at a time. 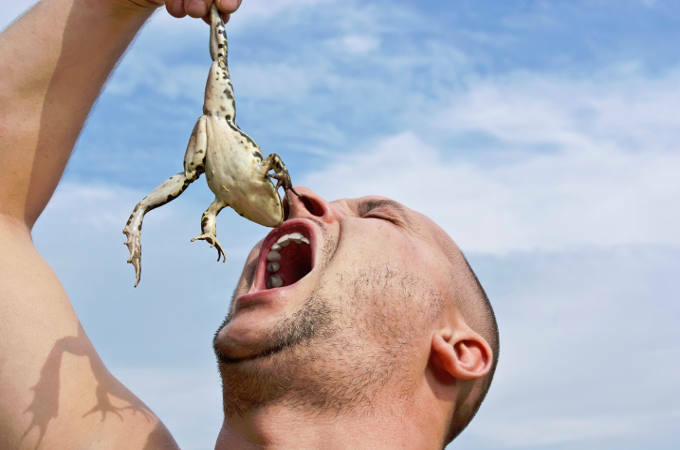 4 – Swallow the frog first. The ‘frog’ is your biggest and most important task of the day, the one that you want to put off the most. It is also the one task that can have the greatest positive impact on your day. Whether you’re dreading making an important phone call or doing your tax return, do this first. You will feel a great sense of relief once you’ve accomplished the task, and the rest of your to-do list will seem a doddle in comparison. 5 – Nothing happens until you decide. 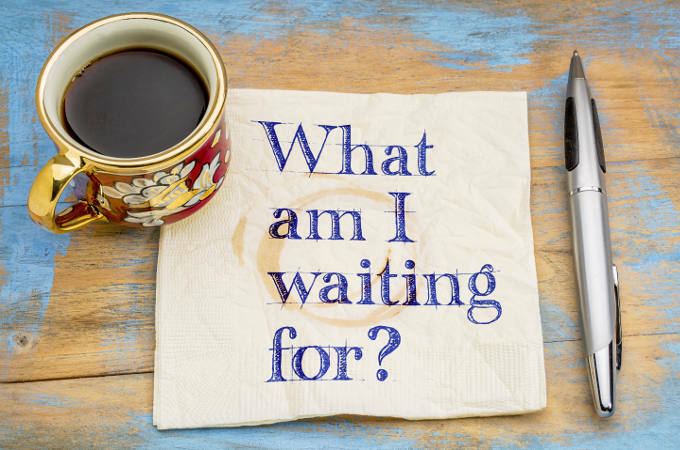 Procrastination is the feeling of wanting to do something but not taking the action that aligns with that thought, which leads to inner conflict. Don’t get lost in limbo land. Instead, boost your confidence and self esteem by taking action – any action – and teach yourself that you can be a decisive person. By repeating this pattern time and again, your prophesy will be self-fulfilling. 6 – Face your fears and do it anyway. Of course, it’s always hard to make mistakes, to get hurt, to take responsibility for your actions and to risk looking like a fool. But if that is what’s stopping you from putting yourself out there you’ll never know whether you could have succeeded. In order to live fully and without regret, you may need to push yourself outside your comfort zone and just go for it. Failure is the mother of success, according to an old Chinese proverb. 7 – Finish what you started. Taking the first step of a task may be difficult but getting to the end of the task may also be a problem. If the energy has gone and you never finish what you started, you can experience feelings of self-doubt, fatigue and stress. Review the job in hand and decide whether it really needs finishing – there’s no law that says everything must be completed. If it doesn’t require finishing, then terminate the project. If, however, it does need finishing, give yourself one last push and feel a whole lot better having achieved your goal. What could be easier than breathing? We do it all the time, and yet not all breaths are created equal. Deep breathing can be a great tool to use when you’re in a state of anxiety, high stress or are dealing with a panic attack. 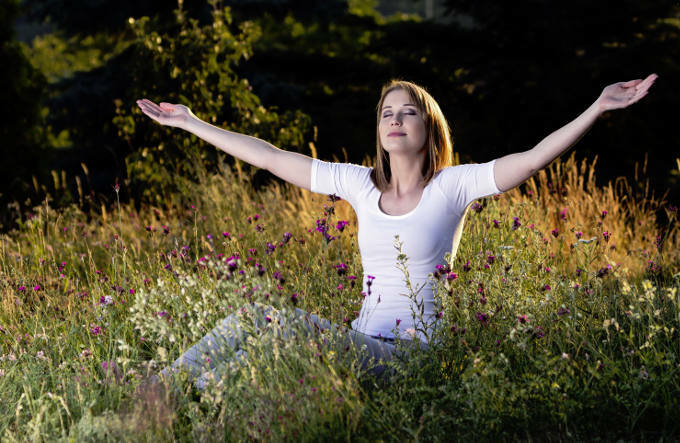 The simple action of taking deep breaths is soothing and calming on body and mind. If you want to use your breath to calm yourself, all you need to do is to stimulate the right part of the body’s nervous system. The parasympathetic nervous system controls our rest, relax and digest response. When it is activated, the body is in a state of calm, with dilated blood vessels and lower blood pressure, a slow heart rate and calm breathing. How to get there? Your outbreath needs to be slightly longer than your inbreath. This stimulates the vagus nerve, which runs from the diaphragm all the way to the brain. Find a comfortable place where you can sit quietly in a relaxed pose but with your spine upright. Close your eyes and begin breathing normally through your nose. Next, take a deep, slow breath in through your nose counting to two, hold for one count, and exhale counting to four, then hold again for one count. Make sure you breathe smoothly and evenly. If this feels too easy, you could try inhaling for 4 counts and exhaling for 6, or even 6 inhales and 8 exhales, just so long as it still feels comfortable. On the outbreath, try experimenting with breathing our through your nose, through pursed lips or through your mouth to see what feels best for you. Do this breathing exercise for a minimum of 5 minutes and notice a real difference in your state of mind.